When you’re down on the Black Rock Desert, in the thick of Black Rock City amongst the profusion of bicycles, people, art, and artcars, trying to get about or find someone or find a campsite, or even of you’re out deep into the playa experiencing some of the far off art pieces or bars or just out for a run or a bike ride, it is hard to comprehend how massive the Burning Man Festival is. 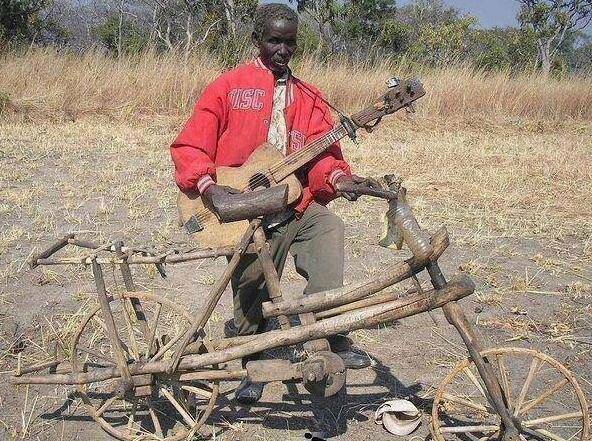 On the one hand, the Burning Man Festival is huge. On the other, it is intimate, very intimate, and thronging with people, 50,000 or more people, and the mountains surround and tower over the desert. It is so intimate that you do get to know your neighbors as you stand in line in the morning to us the portajohns and to share cocktails in the evening and to advise on everything from costuming and to shade rigging. 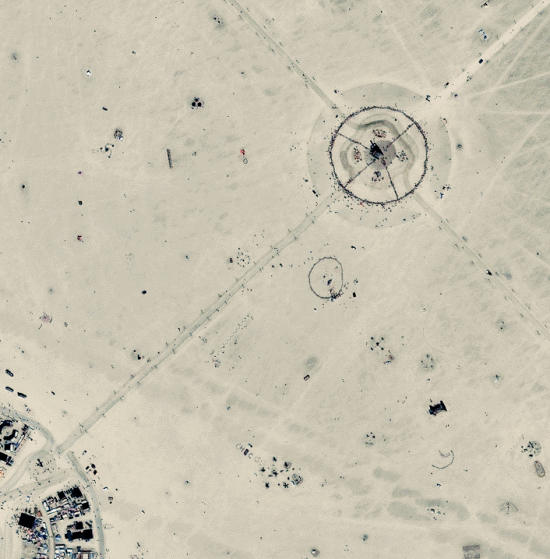 The good people at Google Earth help us see the human footprint at Burning Man if not our individual footprints, on the desert. 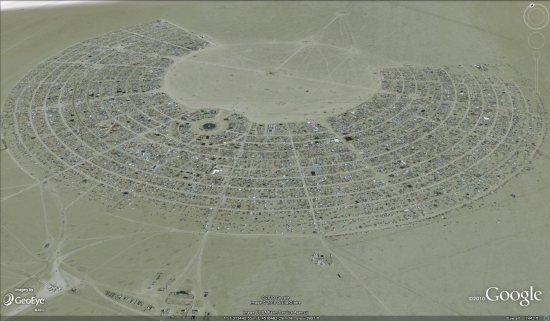 In the image above and left, you can see most of the city, where people camp and live and sleep during the Black Rock Arts Festiv al in tents and RVs and lean-tos, in anything you can imagine and much that you can’t. You can see the concentric rings of streets, this year, following the Esplanade, they were named after cities, even though most people simply refer to their address by the letter and the “time”: the Man is the center of the clock, center camp is at 6 and the Temple is at 12. Center camp is easy to see if you know where to look: it’s the darkest spot in the image, with a ring road circling it. That’s where people often congregate for music and coffee and yoga and more. It’s a great place to laze on a sunny afternoon or to take refuge from the cold dark night.